The Norwegian Guide and Scout Association is an ideal organisation based on teaching children, youth and adults the fundamentals of responsibility taking, accepting challenges, new experiences and personal development. “Learning by doing” and leader training are important elements of the movement. Other important elements are outdoor activities, friendship, practical knowledge and improved quality of life. 19 000 members are organised in 400 local groups in 29 districts. The structure is divided into age-groups as follows: beavers (age 6 to 8), cubs/brownies (age 8-10), scouts/guides (age 10-16) to rovers (age 16-25) and leaders (age 16 and above). NSF aims to develop its members to become independent and responsible citizens through outdoor life, community involvement, international understanding and personal experience of the ideals in scouting. NSF has developed a Strategic Plan for 2015 – 2024 which focus on outdoor leadership, responsibility to the patrol, reaching out and community involvement and membership growth. The Guide and Scout Law and The Promise provide the fundament for our activities. Our members do programme activities in patrols and gain skills and practical knowledge according to their age level. This way, they experience a steady progress in their personal development. Guides and scouts spend much time in the outdoors all year round. Exploring the Norwegian wilderness on foot, on skis and in canoes and boats, as well as learning how to use a map and a compass are important activities. Outdoors they practice how to light a campfire, and learn to prepare meals on an open fire all year round. Mountain climbing, walking on glaciers and building snow caves are challenging activities for the guides and scouts. The leader training is divided into basic and advanced training. The basic training consists of topics focusing on Safety, Educational Programme and Leadership in Scouting. Scout leaders have to complete the basic training within two years after signing up as a leader. The advanced training consists of the Wood Badge Course and a Leader Trainer’s Course. It is not compulsory to do the advanced training. NSF is organised in districts and corps which in turn are organised into 400 local scout groups. The General Assembly is the policy making body of NSF. The General Assembly is composed of delegates from districts and corps and assembles every second year. The National Board (7 members) which is elected by the General assembly, governs NSF. The NSF Head Office in Oslo is responsible for carrying out resolutions passed by the National Board and supports the daily scout life in Norway. 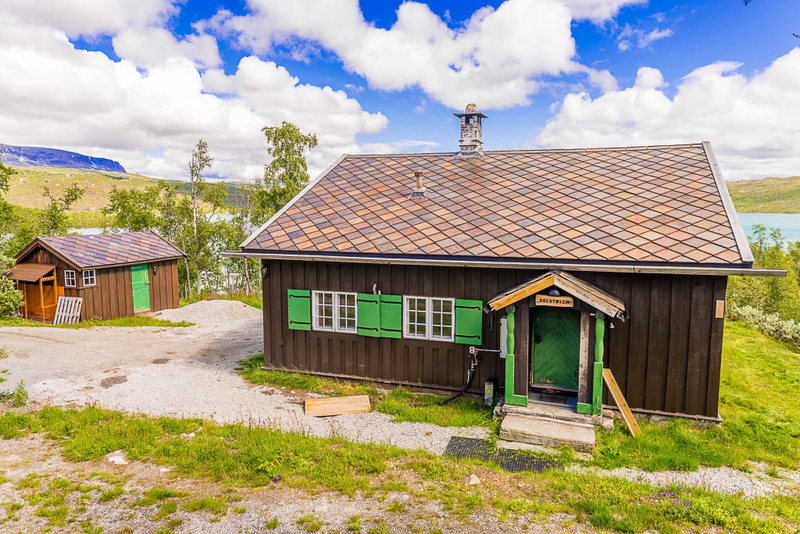 The Norwegian Guide and Scout Association own great properties, ideal for larger or smaller groups. Are you and your guide/scout group interested in renting one of them for your next scouting adventure in Scandinavia? Solstølen is one of two national campsites owned by The Norwegian Guide and Scout Association (NSF). It is situated in the Hardangervidda mountain plateau, and is surrounded by an area well suited for cycling at Rallarvegen, hiking or skiing. Water activities, such as swimming and fishing in the nearby Sløddfjorden lake, are also an opportunity. Solstølen is well suited for outdoor courses, and a screen for video projectors and a flipchart are provided in the cabin. Hardangervidda’s topography can be rather demanding, but is still safe. You have great possibilities for building and sleeping in snow caves and tenting. The cabin has the capacity to host twenty people. The first floor has a roomy hall, a nice living room, three small bedrooms, a small kitchen and a little porch. On the second floor you will find two small bedrooms and a living room. There’s also a basement under the kitchen for storing food. The toilets can be found outside the building. Solstølen is heated by electricity, the firewood is meant only for enjoying the fireplace. In the summer the cabin has cold water from its own well. In the winter visitors have to get water from the nearby lake, or melt snow. If you wish to make campfires you will have to bring your own firewood. There are campfire facilities outside the cabin. See photos from great winter scout activities at Solstølen here. How to get to Solstølen? Solstølen is located on the eastside of Hardangervidda in Gol municipality, over 3000 feet above sea level (WGS 84: N 60ᵒ 29.825’, E 7ᵒ 52.574’; WGS 84 – decimal: 60.49708, 7.87624). It’s easy to travel to Solstølen with public transportation. You can take the train from Bergen or Oslo to Haugastøl station. Then it is a four km walk from Haugastøl station to Solstølen. During winter you can walk across the lake Sløddfjorden, and thus it will only be a two km walk from the station. If you drive your own car or buss, please use the GPS coordinates above, or follow the directions along the road. When you travel from east, you can follow RV 7 from Hønefoss to Haugastøl. Continue towards Eidfjord, until you see Gretteberg café, and follow Solstølvegen. If you are traveling from the west, follow RV 7 Granvin to Haugastøl, and turn towards Solstølen when you can see Gretteberg café. Both members of NSF and non-members can rent Solstølen at friendly prices. Please contact us for more information. Tredalen is one of The Norwegian Guide and Scout Association’s (NSF) two national campsites. It is located nearby the sea, and it is well suited for water activities as well as activities ashore. You can pioneer, swim, fish, explore the Asmalsund by canoe or hike in Ytre Hvaler national park, to mention just a few of the many opportunities. Tredalen is also well suited for small meetings or minor courses. The campsite consists of three buildings and two campgrounds. Tredalen has capacity to host 30 people inside, and about 270 outside in their own tents. Rødstua (the red cabin) has a kitchen, a living room and a bedroom on the first floor. Upstairs there is one more bedroom. Rødstua has capacity to host 8-15 people indoors. The third building is a cabin with capacity to host four people, and has cooking equipment but no electricity. The northern campground is known as “Pirate field” and has a capability for 150 people staying in tents. The southern campground is known as “Squaw Field” and has space for 120 people in tents. In addition to the buildings and the campgrounds, Tredalen also have a pier with the possibility to moor up to four boats. You are also welcome to rent boats, canoes and kayaks at the campsite. Each of the cabins has a stove and firewood available to visitors for indoor use. If you need firewood for a campfire you will have to bring it yourself or gather it outside. You will find campfire facilities outside both Rødstua and the cabin. Se photos from a weekend of scout leader training at Tredalen here. How to get to Tredalen? Tredalen is located on Spjærøy in Hvaler municipality, south for Fredrikstad (WGS 84: N 59ᵒ 6.72’, E 10ᵒ 55.557’; WGS 84 – decimal: 59.10120, 10.92596). It is easy to access Tredalen by public transportation. You can take the bus TIMEekspressen from Oslo bus terminal to Bekkene on Spjærøy (About 800 m to walk from the Tredalen’s main building ). If you drive your own car, you can use a GPS or follow Rv 108 from Fredrikstad towards Spjærøy, and take first turn to the left. Then you follow the road signs indicating Tredalen, right after passing a parking lot. Both members of NSF and non-members can rent Tredalen at friendly prices. Please contact us for more information. Havbraatt is NSFs “Scout-ship.” It is 45 ft long, and was built in 1997 in the southern town of Risør, an area with a strong tradition of naval craftsmanship. 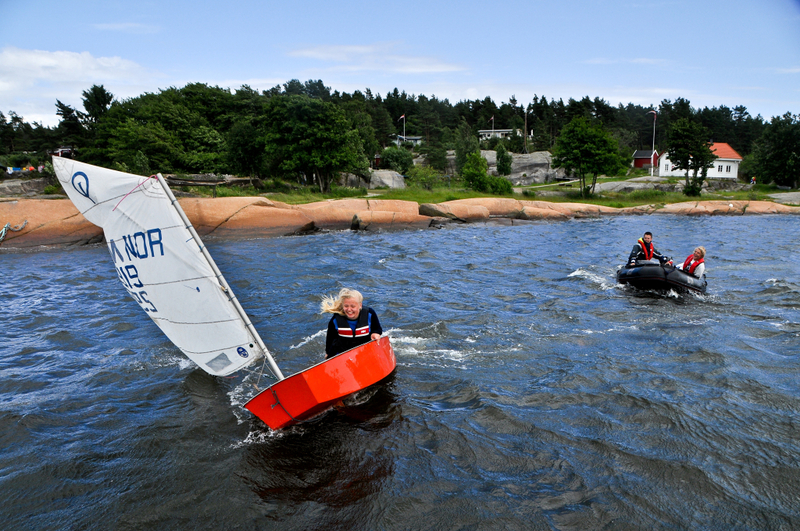 Havbraatt has no permanent port, instead the boat circulates between sea scout troops. Havbraatt can be rented for day and weekend trips, as well as for longer "expeditions". 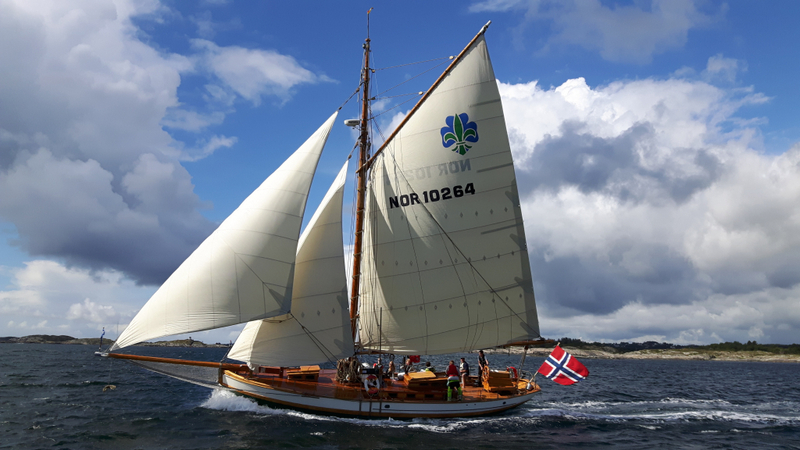 Normally Havbraatt comes “equipped” with a skipper who is familiar with the boat. Both members of NSF and non-members can rent Havbraatt at friendly prices. Please contact us for more information.